The Spendtracker Budget System is proven to quickly let you to create and STICK to a budget. Quick & easy to use, take your budget with you completely eliminating over-spending. 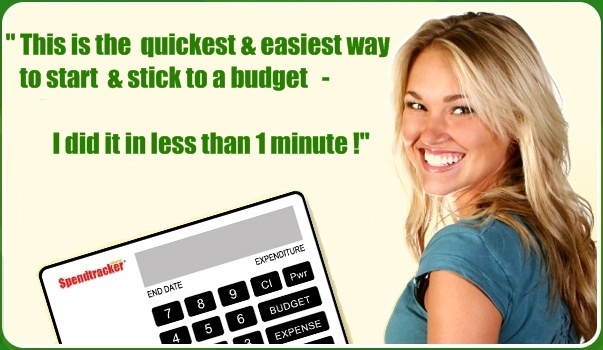 Create your budget in under 1 minute – straight out of the package! By tracking where your money is being spent, you can identify “hidden” expenses that you might not have realized. Spendtracker can be used by all family members to collectively stick to a family budget & can also be great to teach your kids how to budget. Spendtracker is about the size of a credit card so it is small & thin enough to easily fit in your purse or wallet. For under $20 & no further costs, Spendtracker is much cheaper than expensive budget software that can retail for over $50.